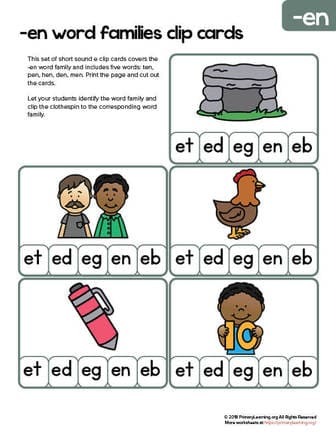 With this worksheet, kids learn to recognize the word pattern. They read, build, chunk and spell the word FED. And learn to recognize the words within the same word family.